A child’s psychology is absorbent, untainted and enormously vigorous and through the fruitful tool of education, one can invoke the feeling of virtue in those tender minds very humbly. It is more important to make a child humane first and then competent for worldly elements; driven by the idea of experiential learning Neekoee Foundation of Ahmedabad has organised a showcase of ‘Baavo Aavyo Baavo’ Gujarati play for 1800 children of Ahmedabad’s Municipality Schools at Tagore Hall on January 17, 19, and 22, 2018. Written by playwright Surendranath in Gujarati, the drama is an adaption of Volker Ludvig’s German play Max Und Mili and uses the famous Grips play technique of Germany. Invented in 1980s Grips Technique of dramatics is where adults play the role of children and perform their acts. 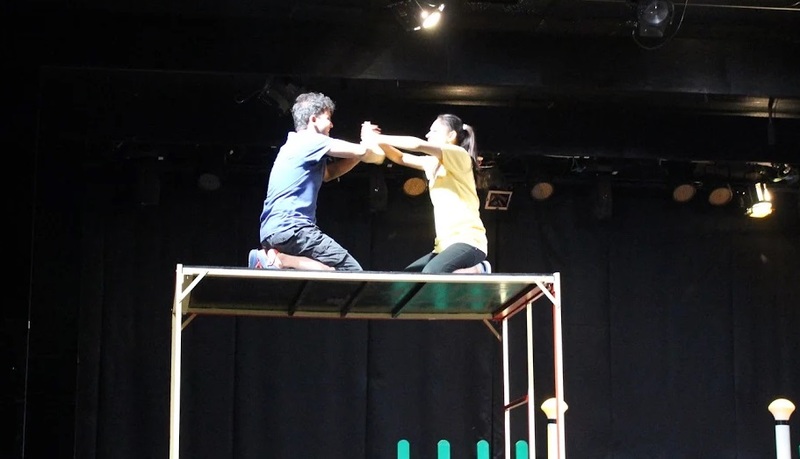 Surendranath, a National School of Drama alumni, attended the Grips Theatre in Berlin and then came up with this 70 minutes play, which has already completed more than 600 performances in Kannada. 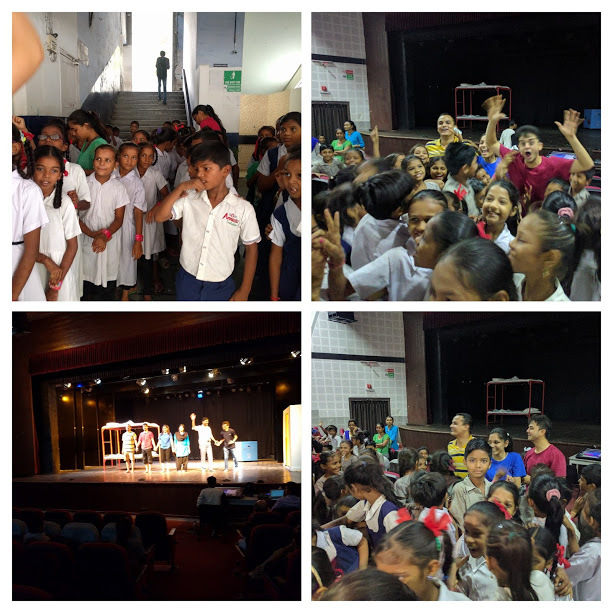 Previously performed at the Theatre Festival For Children in Gujarati to the municipal school students of Ahmedabad in July 2017, the play narrating the story of friendship between a brother-sister and a child from underpriviledged neighbourhood received an incredibly overwhelming response and thus decided to return with a bang. While talking to the founder of Neekoee Foundation Neena Naishadh Parikh, who last month gave Ahmedabad the Dvait Art Exhibition, featuring stalwart couples of the Indian visual art industry, we discovered, “The play is dotingly touching the moral science virtues and posses a motto of eradicating creed discrimination, promote health and hygiene, and throwing light on humble parenting activities.” Neekoee Foundation has been working to promote theatre and performing art activities amongst the youth of heritage city of Ahmedabad, like Pruthvi is doing for Mumbai and Ranga Shankara is doing in Bangalore.” The show is not only exposing art to the future of the society (children) in a very polished form but also promoting literature in the vernacular language, which is very necessary to save the dying art of Gujarati lingual.